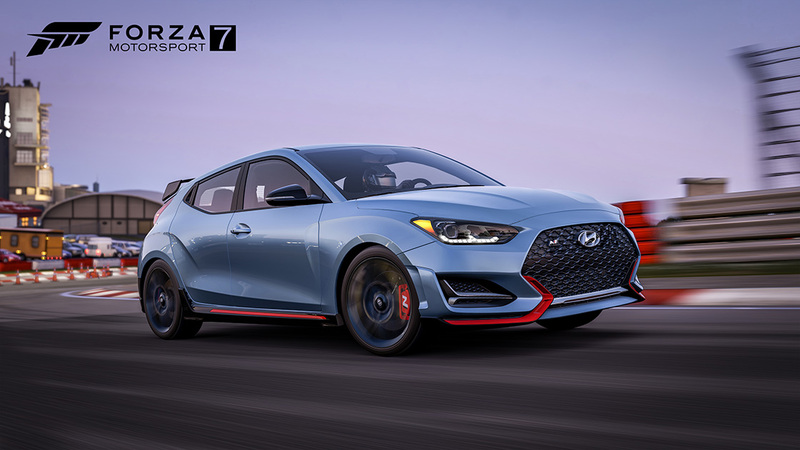 Today, Hyundai unveiled the all-new 2019 Veloster Turbo and its high-performance counterpart Veloster N at the North American International Auto Show in Detroit. While both cars will arrive in showrooms later in 2018, Forza fans will be able to drive both the Veloster Turbo and the Veloster N starting tomorrow in Forza Motorsport 7 on Xbox One and Windows 10. 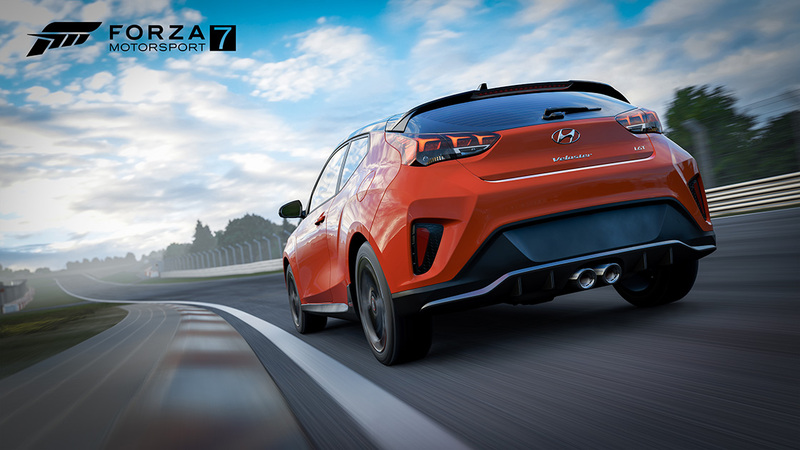 The Hyundai Veloster N and Turbo Free Car Pack will arrive with the January update, bringing both Veloster models to all Forza 7 players at no additional charge. Long-time Forza players will remember that the original Hyundai Veloster Turbo made its gaming debut in Forza Motorsport 4 on Xbox 360. 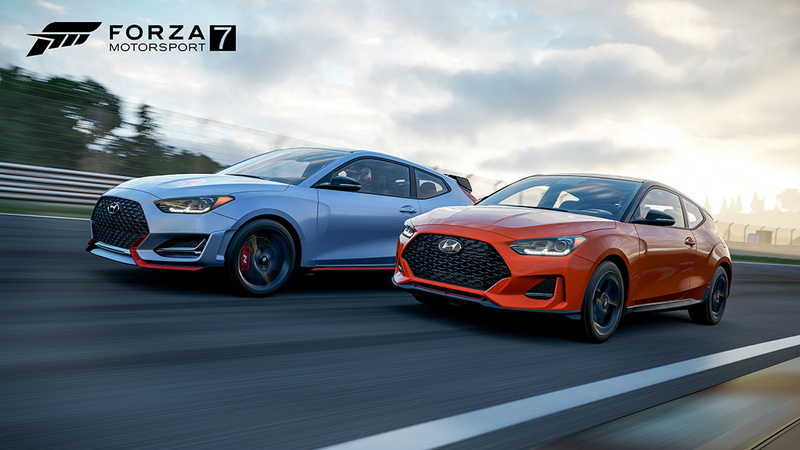 Now fans will be able to experience the latest update to the Veloster Turbo and the high performance Veloster N in Forza Motorsport 7, complete with full Forzavista experiences, and true-to-life performance capabilities. Since 2012 the Hyundai Veloster has been keeping things different and exciting in the hot hatch segment. With its asymmetrical 2+1 door configuration, the Veloster has always been unconventional, functional, and very cool. The new Veloster Turbo sports more than 200 horses from its 1.6-liter inline four-cylinder engine. Building on the design of the last generation, the all-new Veloster achieves a more athletic stance and sportier coupe-like appearance. Different is good, so hop in the new Veloster Turbo in Forza and get ready to turn heads. Capitalizing on the successes of the Hyundai i20 in the World Rally Championship, the Veloster N is ready to take Hyundai to the next level. Veloster N was born in Namyang, Hyundai’s global R&D center, and was thoroughly honed at its Nurburgring-based testing center in Germany. It’s also no surprise that with the assistance of Albert Biermann, formerly of the BMW M-division, the Veloster is a true evolution for the funky three-door hot hatch. One look at the expansive and aggressive grill that covers massive intakes and an intercooler, or at the large diameter dual exhaust, will tell you this Veloster breathes deep and makes the right kinds of sounds you expect from a turbo-charged 2.0-liter inline four-cylinder engine. From a driving standpoint, the Veloster N features details – such as a six-speed manual, oversized brakes, and a electronically controlled suspension – that make each unexplored road a new adventure.